Dons Trust Board member Tim Hillyer is an elected member of the National Council of the Football Supporters’ Federation and a co-opted member of the Board of Supporters Direct. Here is his update on progress being made to set up a single representative body for English (and Welsh) football supporters. Almost six months ago, I reported on the early stages of a move to set up a new body to incorporate both the campaigning ethos of the Football Supporters’ Federation..
Dons Trust Board member Tim Hillyer attended the annual Football Supporters’ Federation awards event, and was impressed by how prestigious an occasion it has become. The run-up to Christmas signals the start of the season of awards presentations. The Football Supporters’ Federation kick off the annual prize-giving merry-go-round with a formal dinner interspersed with speeches. A measure of the increasing stature of this event is the number of high-profile guests in attendance this year, including such well-known names..
A new national fans’ organisation? Significant discussions are currently being held about whether the two best-known national supporter groups can continue with their separate identities or should combine forces under one banner, writes Dons Trust Board member Tim Hillyer. In 1999, the government’s Football Task Force delivered its findings. The two fans’ bodies that existed at the time, the National Federation of Football Supporters’ Clubs and the Football Supporters’ Association, merged in 2002 to form the Football Supporters’ Federation (FSF). That same period saw the..
Dons Trust Board Chair Matthew Breach explains some of the “outward-facing” work that the Trust is involved with and why it is so important. Most of the time that the Dons Trust Board (DTB) spends together (a regular monthly meeting plus a number of ad hoc meetings for specific issues) is devoted to the club, concentrating on implementing our strategic oversight of the Football Club Board (FCB) on issues such as football, finances, youth development, commercial operations and – particularly..
Dons Trust Board member Tim Hillyer reports on his role as a member of the Rail Football Forum, which seeks to improve the experience of all football fans travelling to matches by rail. An unexpected duty in my role on the National Council of the Football Supporters Federation (FSF) is to attend meetings of the Rail Football Forum as a supporter representative, together with officers from British Transport Police and their security counterparts from the various rail operators (known as..
Board Member Jane Lonsdale reports on this year’s Supporters Summit, hosted jointly by Supporters Direct and the Football Supporters’ Federation and held at St George’s Park over the weekend of 1 and 2 July. The annual two-day Supporters Summit is a great opportunity to learn more and to network with members of other supporters’ trusts. The sessions I attended included ones on clubs in crisis, preventing child abuse in football, and ticket pricing in the EFL. Supporter representatives from the EFL’s three divisions, under the auspices of the Football Supporters’ Federation, met with EFL chief executive Shaun Harvey on Wednesday, November 2. This was the first meeting between fan organisations and the EFL following the Government’s Expert Working Group (EWG) on Fan Engagement and Supporter Ownership. There is a commitment from both fan groups and the EFL to bi-annual meetings. This meeting was attended by three fans from different clubs for each division, drawn from the FSF’s.. The Football Supporters Federation, of which the Dons Trust is a member, is holding a Share TV Wealth demonstration at the Premier League shareholders meeting on Thursday, March 26. The shareholders meeting will be taking place at the Le Meridien Piccadilly hotel, and the demonstration will begin at midday outside the main entrance to the hotel. The FSF will be handing over their demands to Premier League representatives at around 1pm. The nearest tube for Le Meridien Piccadilly is.. The Dons Trust recently joined the Football Supporters Federation, and continues to benefit from its long association with Supporters Direct. Both organisations represent and campaign on behalf of us, the fans. David Reeves explains that while the two have very clear and distinct remits, both are doing great work to keep the football fan at the heart of our national game. When the Dons Trust was formed back in February 2002, its founder members were supporting a.. 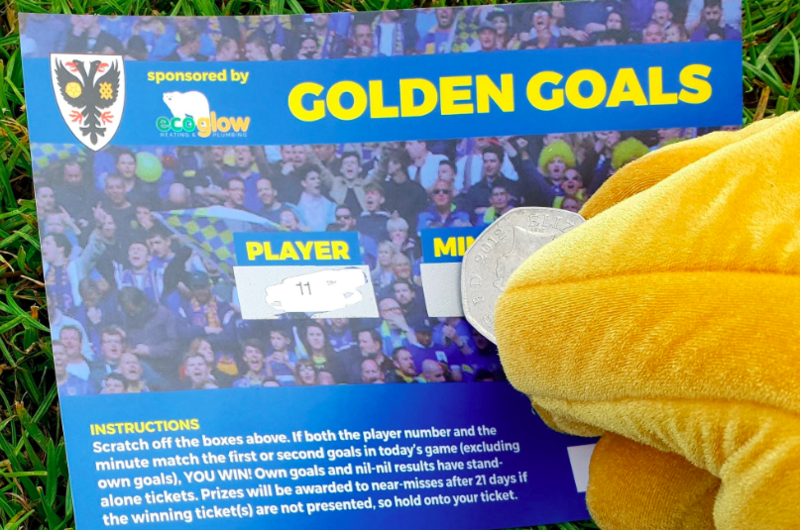 Check the latest Golden Goals results and find out how to claim prizes. 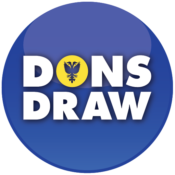 Enter the Dons Draw for a chance to win regular prizes – and help fund the AFC Wimbledon Academy at the same time!